The Lexus NX300h is not everyone's cup of tea, it is actually an intriguing evening cocktail served with all the flair in the world. Lexus, Toyota’s luxury arm, made a rather delayed entry in India last year with three cars - a midsize hybrid sedan, a full-size hybrid crossover and a full-size diesel SUV. Some time later, it added another car to its India portfolio, which intrigued me the most. 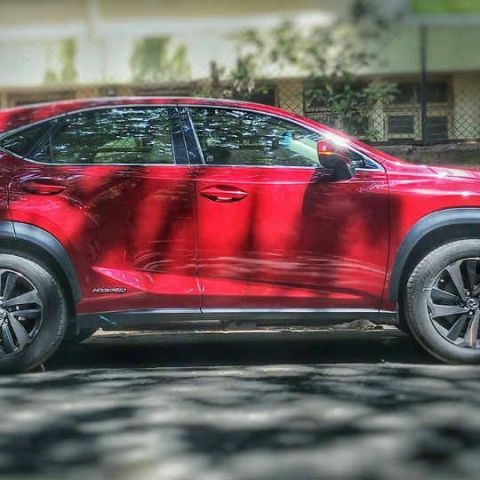 While I have never been a big fan of crossovers in particular, the Lexus NX looked nothing like anything available on Indian roads. Sometimes, when you look at it from afar, its sudden, sharp creases, folds and edges often feel a bit mad. That, also makes it unmistakably recognisable on roads, and it makes heads turn. But, after being used to all the German doses of luxury, how is the Lexus NX to live with? Hailing from Japan, expectations were towering in terms of its technology package. Did it manage to live up to its expectations, then? Say what you may, but there’s no ignoring the Lexus NX300h. It is not conventionally beautiful, per se - it doesn’t follow the golden ratios of architectural design that a lot of luxury cars do. Yet, and I still can’t put a finger on it, there’s something about it that makes you feel like you can’t ever have enough of it - at least in a short driving stint. Apple's self-driving Lexus has been spotted for the first time! The Lexus NX’s design language is unpredictable in every way. The front is almost sharply angular, ruled by the large, blackened signature spindle grille on this Luxury trim of the NX. It rises straight from the floor, makes a gradual inward bend at the point where the Lexus logo is, and then swoops sharply inward in what is one of the most sharp and aggressive front nose designs that we’ve seen. The chrome lining around the spindle grille adds a bit of definition to the car, and is flanked on either side with slits for fog lamps at the very bottom, deeply indented air dams, a sharp Nike swoosh-like pair of DRLs that double up as dynamic turn indicators, and sharply angled, narrow LED headlamps. The bonnet, too, is textured around its corners to add to the jaggedy design. The side faces are equally striking, with massive, plastic-clad wheel arches housing the five twin-spoke 18-inch alloys, the chrome-lined glasshouse that looks rather narrow from outside, and a very sharply-angled C-pillar, the angle of which is highlighted by the rear LEDs that look like they intruded into the side face’s design like a trickle of paint on a canvas of abstract, modern art. If there’s any angle from which it looks a wee bit normal, it’s the rear. The high-mounted spoiler lip creates a nice design element, the angular tail lamps suit the overall design, and despite the multiple creases and indents, the tailgate doesn’t seem loud in terms of its design. 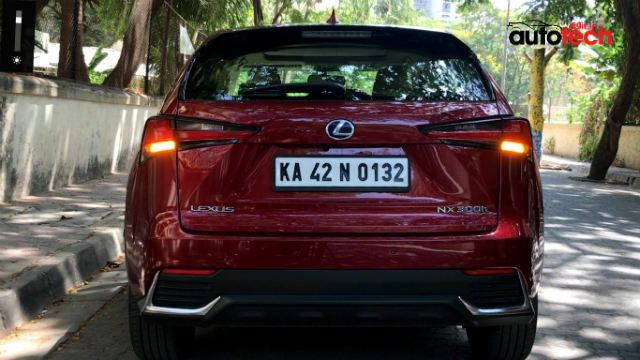 The rear bumper gets a chrome lining around its edge, and from its rear angle, the Lexus NX does have ample road presence. Do I like the overall design? Yes. I’ve always mentioned how I always prefer smooth, flowing straight lines than elaborate curves and angles, and admittedly, it did take a while for me to get used to it. There’s no denying that the NX is totally unique in design, matched only by its bigger, pricier sibling - the Lexus RX. Interestingly, as you start living with it, you tend to grow this pleasant fondness, and start to understand it. The reason why I’m talking so much about its design is because of its uniqueness, and the fact that anyone looking for a midsize crossover/SUV at around this price will certainly do a double-take when they look at the Lexus NX300h. Things inside appear much calmer, but the jagged edges are retained in the dashboard layout. At the top of the central column sits a 10.3-inch non-touchscreen infotainment display (more on this later), offering decent legibility on overall terms but reflecting harshly upon incident sunlight. The air-con vents right below the display look a little too plain jane (maybe they didn’t care enough about ‘em), followed by the monochrome LED climate control strip that has a light-adaptive, chrome-ringed analogue clock sitting bang-centre. 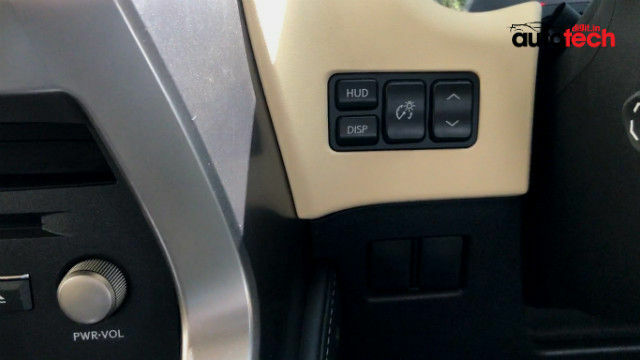 There are four, solid chrome toggles and seven slit-like chrome buttons for the dual-zone climate control unit, along with buttons for the seat heater/ventilator. Everything’s set against an outward-sloping dark plastic panel and lined with silver plastic bezel along the column’s sides. The media segment lies just below the angular top half, laying out the CD/DVD player and buttons for media playback without much ado. This part of the column looks and feels unnaturally simple, and even the Mark Levinson logo splashed here looks painted in a haste. The rest of the column includes the typical Toyota-layout gearknob, a drive mode selector with related buttons, and a large, laptop-like trackpad that offers haptic feedback for every scrolled item on the screen. 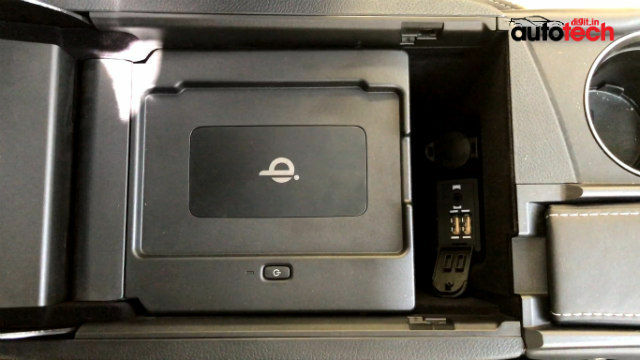 There is a storage hole here with a leather lid, and a leather armrest that opens up to another storage area with a folding Qi wireless charging pad, a 12V power socket, an aux port and two USB port. The ports also have a concealing flap, which can prevent the ports from getting soiled if you put any spillable item inside it. There are, however, a few elements to speak of here. 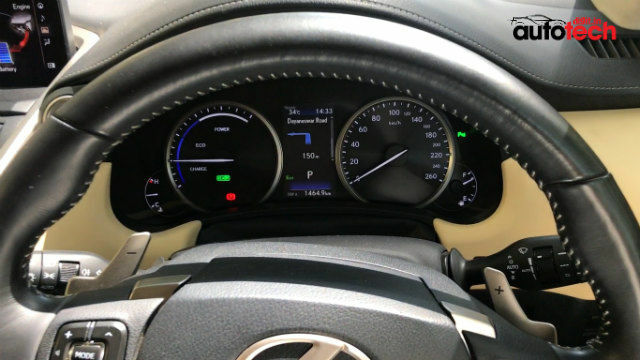 The instrument cluster is borrowed from that of a Toyota Camry’s, and the multi-information display at the centre looks a bit outdated and low-resolution, particularly when the rest of the world is moving to digital displays. The steering wheel includes all the buttons, but feedback is a bit mushy in general. While much of the dashboard, seats, door panels and the roof are all leather and fabric (the interior had a dual-tone beige-black theme), the plastics on the central column feel a bit short of quality. Apart from that, however, there is excellent attention to detail about everything here - buttons are equidistant by a slide ruler, not a single thread out of place, and everything gives an air of solidity and that snug, assured feeling of being in a luxury car. 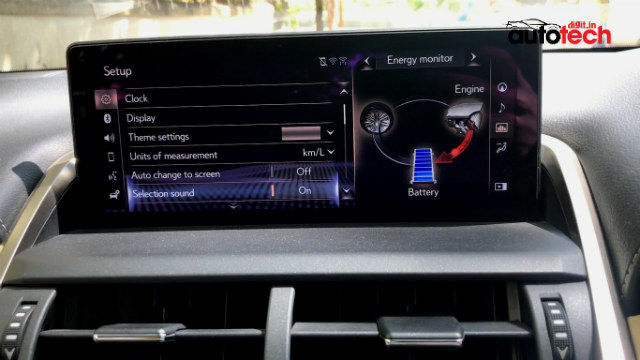 The dashboard’s overall design is not as expansive, owing to the narrow central column layout. In terms of aesthetics, you can argue that you’d be better off marvelling at the Volvo XC60’s zen-like urban layout or the Audi Q5's professionalism, and you wouldn’t be wrong in doing that. The Lexus NX300h isn’t the final word when it comes to in-cabin aesthetics, but there’s nothing wrong here either. It’s really a question of preferences, and the Lexus NX takes a path completely off the usual. Maybe the quality could have been better in a few bits, but this is not bad by any measure. 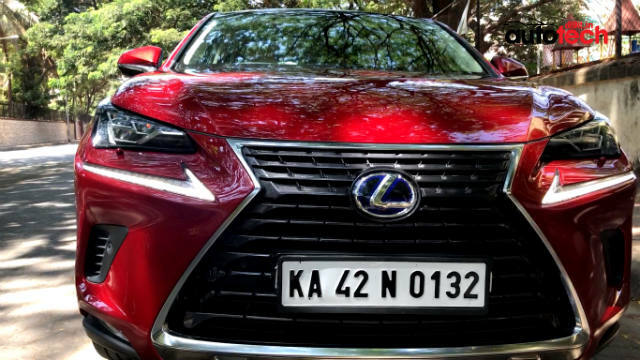 Lexus’ big bet with its lineup in India, meanwhile, is its future-ready powertrain. While we’re still going through a bit of a penalisation phase for hybrids, that point is going to break at some point in our quest to adopt EVs. When it comes along, Lexus is ready to pounce on tax benefits to offer buyers a stronger value for money. 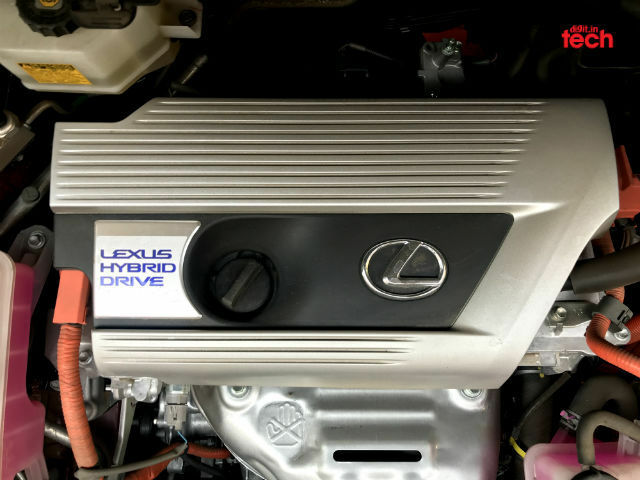 The Lexus Hybrid Drive technology pairs a 2.5-litre petrol engine that produces 153 bhp with two permanent magnet synchronous electric motors - one at the front and one at the rear, to produce total power output of 195 bhp and 210 Nm torque. Here, the rear electric motor is connected to the front motor and the engine by a wire, which sends impulses to control the rear axle and tell it when to work. This also makes it an intelligent, permanent all-wheel-drive car. Starting the car is almost always completely quiet, as it rolls off using power from only the front electric motor. 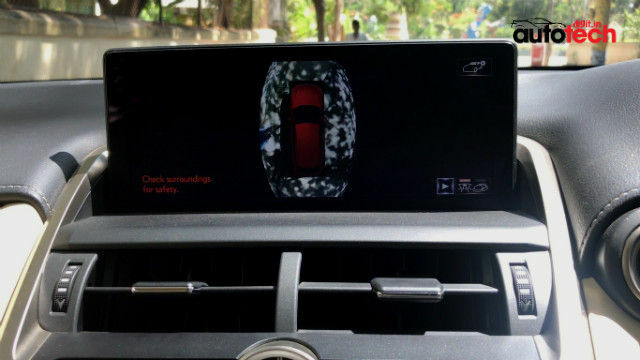 If you’re on a hill ascent or start off on a slippery surface, the onboard computer automatically asks the rear electric motor to take over. The engine comes on as power goes down, and you can distinctly hear this from inside. What makes things interesting is how the 204-cell, Nickel-ion hybrid battery is charged - instead of using the brake pads for regenerative braking, the Lexus Hybrid Drive unit takes power from the front electric motor and the front axle to directly charge the battery, making the charging faster and more efficient. The hybrid drivetrain is also paired to an e-CVT (continuously variable transmission) gearbox, which means that there are no real stepwise gear changes, but a rolling, continuous shift in ratios depending on the engine rev or the power flow from electric motors. 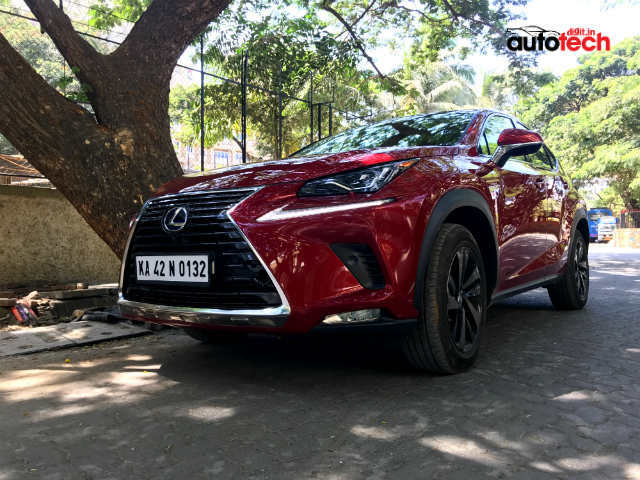 The way the battery charges and the engine is managed also makes the Lexus NX300h incredibly fuel-efficient, and we averaged 15.6kmpl in our tests spread over four days. The Lexus E-Four permanent all-wheel-drive system does not link the rear axle to the front with a mechanical prop shaft, which in turn again makes the car more efficient on overall terms. It is the Lexus Hybrid Drive technology that truly differentiates the Lexus from the pack from the inside. The powertrain is impressively quiet for most of the time, and we found it very easy to drive around in near quietness, with considerable stretches only on electric power, making it one of the most efficient hybrid systems that you can drive in India today. 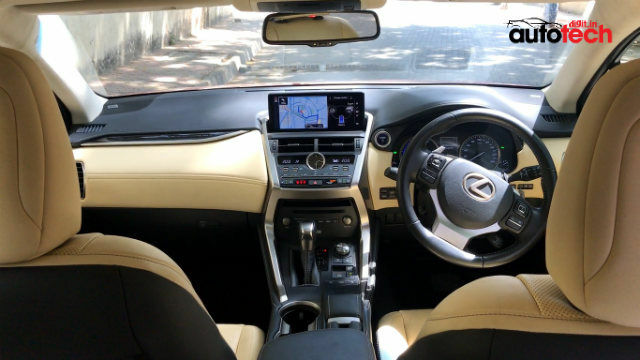 The lifestyle division of the Lexus NX300h’s technology package begins with the infotainment firmware, which is a bit of a mixed bag. The resolution is crisp, and the onboard computer has enough power to make it a fairly smooth unit. The home screen can be split into two sections to view two tasks at one go, and you can also set the system to return to navigation automatically after you’ve made adjustments to the media playback or made a phone call, making it easier to operate. The onboard maps and sharp and crisp, and the trackpad makes it infinitely better to operate, add pit stops, view PoIs and simply pinch to zoom in/out depending on what you need. Media playback interfaces include Bluetooth and Miracast (from supported smartphones) for wireless connectivity, and USB, CD and aux for physical connectivity. Here, enters the Mark Levinson surround sound system. 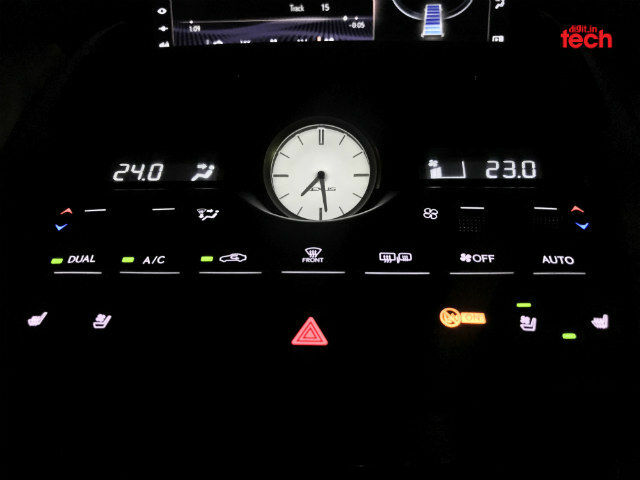 While Lexus doesn’t specify the wattage of the amplifier, the audio setup is remarkably loud. For the non-audiophiles, Mark Levinson is a famed audio designer who worked at the legendary 1969 Woodstock festival, before coming up with his own lineup way back in 1972. To further amp up this 14-speaker system, Lexus includes Clari-fi, a sort-of digital audio upscaling engine that uses integrated algorithms to make up for the loss in audio fidelity when you play a digital track from your smartphone. You can actually feel the difference here, with a bunch of relatively low resolution tracks sounding razor sharp, with a beautiful balance of mids thrown into subtle bass and smooth highs. The surround sound distribution is great, too - with stereo isolation working wonders to preserve the theatricals of a live performance. Moving on, though, and you have the standard array of telephony shortcuts (favourites, call lists, etc), a dedicated Lexus mobile synchronisation app and a bunch of settings. These let you refine haptic feedback quality of the trackpad, allowing multi-touch operations, setting up Wi-Fi hotspot to get live traffic updates and access apps on the go, and more. Very strangely, though, there are a few flaws to the interface. For instance, you cannot access the speaker settings from the general settings menu, and can only do that from within the music player window. Discoverability is a bit on the down side here, and the interface could certainly have been better. The trackpad itself works fine, and the presence of haptic feedback eases operations manifold. That said, it is simply not as intuitive and reactive as the BMW iDrive controller, and the presence of a multi-way toggle switch would have made things much better. The instrument cluster is still analogue, and the MID - while offering all the essentials, is nothing striking to write about. It’s all easy to operate via the steering wheel, and ergonomics are appreciable. When it comes to other electronics, you get a bunch of impressive toys to play around which. 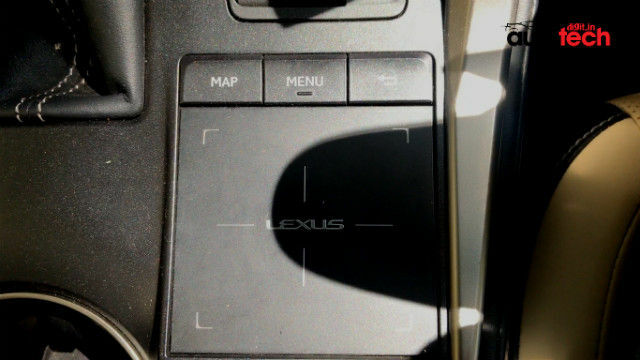 What I particularly liked is Lexus’ driver-oriented layout, and every switch is placed around the steering wheel, giving the driver full control. You get three-step seat cooling and heating for the front seats, while the rear seats only get seat heaters. The rear seats are also 60:40 split, and are electrically operable. Two switches to the right of the steering wheel allow you to fold the rear seats and raise them back, as you’d need. You also get an electrically-operable automatic tailgate, which also has the new, trendy gesture-opening thingy. It is pretty iffy in most cars, although it somehow worked more often in the Lexus NX, than not. Furthermore, you also get a one-switch access to the 360-degree camera of the NX, with adaptive and multi-adjusting views. The last feature is not one that you may find yourself using too often, but Lexus has actually included steering wheel heater in the NX, which has to be a segment-exclusive. To the left of the steering wheel, you get a button to access the augmented Head-Up Display (HUD). The HUD is crisp, and ensures that you do not have to ever take your eyes off the road. You can also adjust it for tilt, height and brightness, making it fairly versatile as well. The steering wheel column is electrically adjustable via the four-way toggle to the left, and impressively, all four seat (front and rear) are electronically adjustable. What really impressed me is the actual recline that you get in the rear seat, which makes it really comfortable. The front two seats also get lumbar support adjustment, the headlamps get two, cute little headlamp washers, the cabin light switches have capacitive touch sensors, the standard panoramic glass roof has an electrically-retracting blind, and auto-adaptive ORVMs complete the pretty comprehensive package. The Lexus NX300h is not a lightning-fast vehicle, to be honest. It doesn’t try to be either, to be honest. The power delivery is fairly linear in all modes except Dynamic, where the engine opens up considerably, the electric motors throw in more support from behind the wheels and the entire car feels significantly more responsive. That, though, is not the mode you’ll mostly be driving in as it leads to significantly lesser fuel economy, and fuel economy is what hybrid cars are usually bought for (and the environment, of course). The good news, though, is that through everything, the Lexus NX300h never struggles with anything. It is smooth, and NVH levels are reasonably well refined. You do, however, get a bit of tyre noise in EV mode, although the engine is nicely refined, and never really bothers you. The e-CVT gearbox is really smooth, and that is paired with Lexus’ Adaptive Variable Suspension (AVS) to give you customisable suspension balance for different terrains. While it does stiffen up in Dynamic mode, it is still a bit on the softer side of things, which means a few undulations in slightly aberrant highway stretches, and a bit of lateral movement. Surprisingly, though, the NX struggled with deep city potholes a fair bit, with a lot of abrupt body movement. This was a bit of an irregularity, and is possibly the only thing about it that bothered me a bit. The Lexus NX300h handles really well around corners, and there is minimal body roll here. It feels solid and planted, which makes it a thoroughly enjoyable highway cruiser. The steering wheel is a bit too light for my preference, and doesn’t offer a lot of feedback. That said, it is still quite precise, and the lightness of it is a boon in city drives. 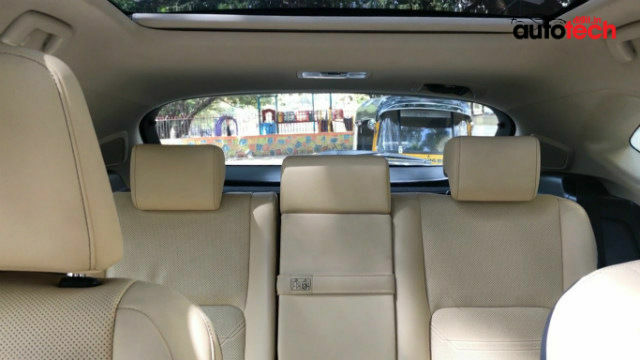 Rear-seat comfort is quite good, with ample space even for tall frames, and the added recline and personal AC vents make it a good overall package. How, then, would I sum up the Lexus NX300h? It’s got a polarising design (I affirm that I love it now), is built pretty immaculately (with a couple of sudden, tacky plastic bits thrown in), offers all the technology that you can ever need (fix the infotainment menus, please! ), is a comfortable car to be in and even drives quite well. Sure, it’s not super enthusiastic or a petrolhead’s fantasy, but it does its own task better than everyone else - be a fun, easy hybrid luxury SUV. It is this that makes the Lexus NX300h hard to say no to. It may not be the most conventional choice, but if you do make the choice (and I think you should), you will keep falling in love with it over time. Because, you see, you weren’t born loving bitter chocolates and bitter coffee, and yet most of us can’t live without them now.